China, one of the richest and most innovative countries on Earth is unleashing the power of face detection. It is made possible partly because of their huge centralized database of ID card photos, allowing them to experiment with new measures like the process of face detection. 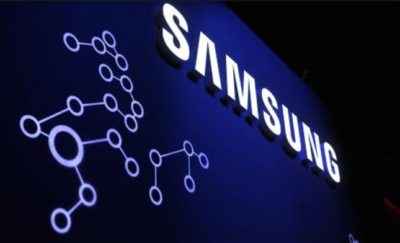 But, it is also a result of the leap in high-tech development that has taken place over the past decade in China. Once an inexpensive manufacturing hub, they are becoming a high tech leader. Face Detection, or facial recognition as it is often known in the United States, is a case in point. 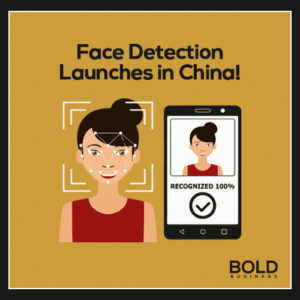 Offering both convenience and surveillance, the technology of face detection has been launched in China in a big way. Face ++, which is the leading Chinese company in this field. Face ++ is valued at roughly one billion dollars and is rapidly growing. The company uses the face detection system in their own building for security. 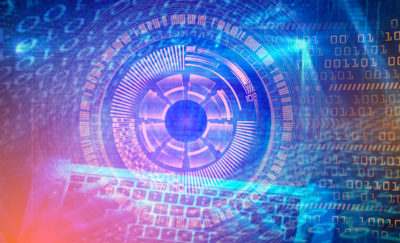 Employees and others who have been added to the company database have automatic access to the building, without the need for more intrusive protocols. This is a largely a proof of concept for Face++ and a demonstration that the system is robust and reliable. Shiliang Zhang, an Assistant Professor at Peking University, said “the face recognition market is huge”. She specializes in image processing and machine learning. Zhang added that “in China, security is very important, and we also have lots of people”. Lenovo – This computer manufacturing company turned to Face ++ because of its reliable biometric identification solutions. With the video call application, users simply smile in front of their computers or mobile devices, and automatically log into their accounts. Didi – This is the parent company of Uber China. With facial recognition services by Face ++ the ride-sharing company succeeded in building a safe and easy riding experience for both drivers and riders. Camera 360 – This application is a popular filter and editing app. With the high-precision face detection of Face ++, the application can allow users to edit their selfies with many effects. Alipay – The online payment platform was founded in China and is affiliated with Alibaba. With new face detection technology based on Face ++, users can reset a missing password using facial recognition. Meitu – A well-known photo editing application producer has cooperated with Face ++. In using MeituKiss, a smartphone, users can take pictures and apply fixes like makeup after the fact. Jiayuan – The biggest dating website in China used the advanced face searching technology provided by Face ++. Facial detection has been around for decades, but until recently it was not accurate enough for financial transactions. That changed with better sensors, databases, and deep learning. Deep Learning is an artificial intelligence method that identifies objects and deciphers speech in real time. The software mimics the activity in layers of neurons in the neocortex, which is the wrinkly 80 percent of the human brain where thinking happens. Deep Learning can process in a real sense. It recognizes patterns in digital representations of images, sounds, and other data. Companies worldwide are trying to get their hands on the technology, which has become a hot item for businesses. Baidu, China’s most well-known search engine, is creating a system that lets users pick up rail tickets by means of face detection. Now, the search engine giant is working with the Wuzhen Government, a historic town that has been turned into a tourist destination with museums, providing access to many of its attractions without asking for tickets. Jie Tang, an Associate Professor at Tsinghua University, said “the convenience of the technology is what appeals to most people in China”. 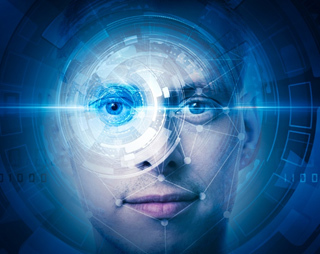 USA – New Jersey and New York are the first states to utilize facial recognition software to bust illegal drivers at the Department of Motor Vehicles. India – In Bangalore, LabourNet Services has adopted SmartAttendance, which is a mobile-based face recognition solution, to assure that beneficiaries and staff attend classes and/or workshops. Indonesia – Face recognition spots faces of church visitors from CCTV footage or photos to identify churchgoers and check attendance numbers. It then alerts the program officials of the church if members stop coming to services. This practice is also being done in the USA, Portugal, Africa, and India. China – Researchers introduced an ATM with built-in facial recognition software in order to reduce the risk of illegal withdrawals. Europe – Agencies were given the authority to identify individuals using facial recognition in ‘near’ real time. Thailand – The country uses facial recognition to identify people from group images. China has started a move to revolutionize face detection with Face ++. The bold innovation that face detection brings to the table may open doors for other inventions, which could help society in different ways. The market for face recognition is huge and businesses that capture key sectors early on stand to gain huge returns.